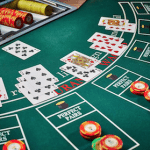 The number seven is supposedly one of the luckiest numbers when playing casino games — but when it comes to blackjack, if a dealer is showing a seven it isn’t as likely they will bust as they would with a card from two to six. Knowing what to do when the dealer is showing a seven is important for a player to understand and imperative to a good blackjack strategy. 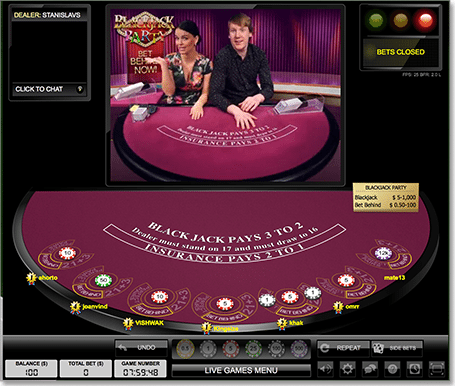 We have put together potential scenarios of a player’s hand in conjunction to when a dealer is showing a seven so you can easily decide what the best move to make is. What is the percentage a dealer will bust in blackjack? Knowing what the chances the dealer is likely to bust can contribute to your decision, but it shouldn’t be the only factor. When a dealer reveals a seven there is approximately a 25.99% chance they will bust. There are slight incremental changes in the value depending on whether or not the dealer hits or stands on a soft 17, however these aren’t big enough to make much of an impact. This percentage can be compared with the dealer getting a four, which has a 40.28% chance of busting; a five with a 42.89% chance of busting; and a six with a 42.08% chance of busting. This proves that even though there is only one unit difference in value between a dealer getting six and seven, the chances of the dealer going bust is incredibly different and makes a huge impact on what move a player should do in terms of the cards they hold in their hand. Although this percentage can help, it is important to remember it shouldn’t be the determining factor when the dealer reveals a seven, or even any bust card. 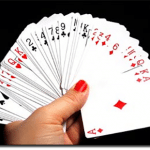 Why learn blackjack strategy for when a dealer shows a seven? Some players only learn strategies for when the dealer is holding a high card but learning what actions to perform when the dealer reveals a seven in conjunction with your hand can avoid common mistakes made even by experienced blackjack players. The busting percentage is quite low in comparison to the dealer’s bust card’s percentages but this shouldn’t be the reason why you perform an action, such as hit on a certain hand, because you mistakingly think you have a higher chance of winning than the dealer has of busting. These tips allow you to make the right moves and although they don’t guarantee a win they still improve your game play. The best time to stand if the dealer is showing a seven is when you have 18 or higher. This is because a player with 18 has a 77% chance of busting and is also a fairly strong hand against a dealer who is showing a seven, however it is important to remember it isn’t a sure thing. Players should hit with a hand from 12 to 16. Since there is less chance a dealer will bust than a player with a hand from 12 to 16 it is advised to hit. Confused? Basically if you stand the dealer has more chance of winning as opposed to busting with a seven against these hands. Players have a 31% chance of busting with a hand of 12, 39% with a hand of 13, 56% with a hand of 14, 58% with a hand of 15, and 62% with a hand totalling 16. Although there is quite a high chance for a hand of 14 or more busting there is a 74.01% chance that the dealer won’t bust when they’re showing a seven, making it worth hitting with a hand of even 14-16. Additionally, with cards of two to six, also known as bust cards, players can make the mistake of standing on a hard 12 as they believe dealers are more likely to bust than beat them. This mistake isn’t made with a dealer having a seven however as there is less chance of the dealer busting. The dealer has a seven, when do I split? Splitting can be tricky as novice players often fall for the trap of splitting any pairs they get. It is recommended to split a pair of twos, threes, or sevens if the dealer is showing a seven. It is recommended to hit on a pair of eights rather than split them especially when the dealer is showing a seven. This is because two eights equals a hand of 16 (this hand is also known as the worst hand in blackjack) and it is not enough to win unless the dealer busts which in the case of the dealer showing a seven is only 25.99%. For a pair of nines it is recommended to stand if the dealer has a seven, as a hand of 18 is strong enough but once again isn’t a sure thing. Most players know you should always split Aces regardless of the dealer’s card. A soft 17 is when a player gets an Ace and a six as taking an additional card will not see the player go bust. However, many players stand on a soft 17 because they stand on a hard 17 hoping the dealer will bust. But if the dealer doesn’t have a bust card, and in this case with the dealer showing a seven they don’t, then it is unlikely the player will win with a soft hand of 17 . What about a hard 17? A hard 17 is when an Ace isn’t involved, for example a hand featuring an eight and a nine. When the dealer is showing a seven and you are holding a hard hand of 17 and above it is suggested players stand. Additionally, if you are holding a soft hand of 18 and above it is also recommended players stand.